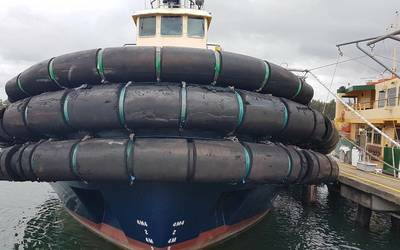 The installation of the gates for the new locks of the Panama Canal began today on the Atlantic side of the waterway, the Panama Canal Authority (ACP) reported. 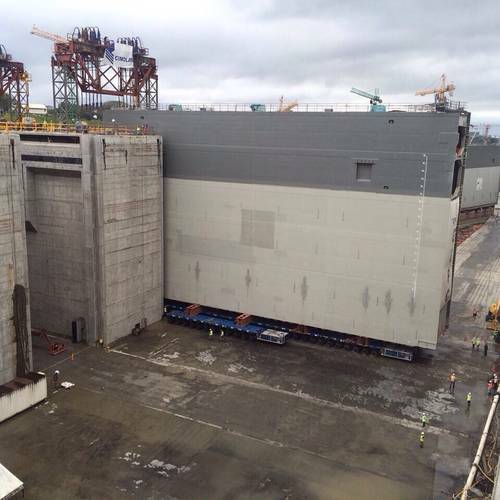 The gate will be located in lock head two in the new locks on the Atlantic side. The installation of the gate began early in the morning and is expected to be completed in the next couple of days. The steel gates are moved using self-propelled motorized wheel transporters (SPMTs) with more than 400 wheels each. The gate currently being installed is 10 meters wide, 30.19 in height and weighs 3,285 tons. 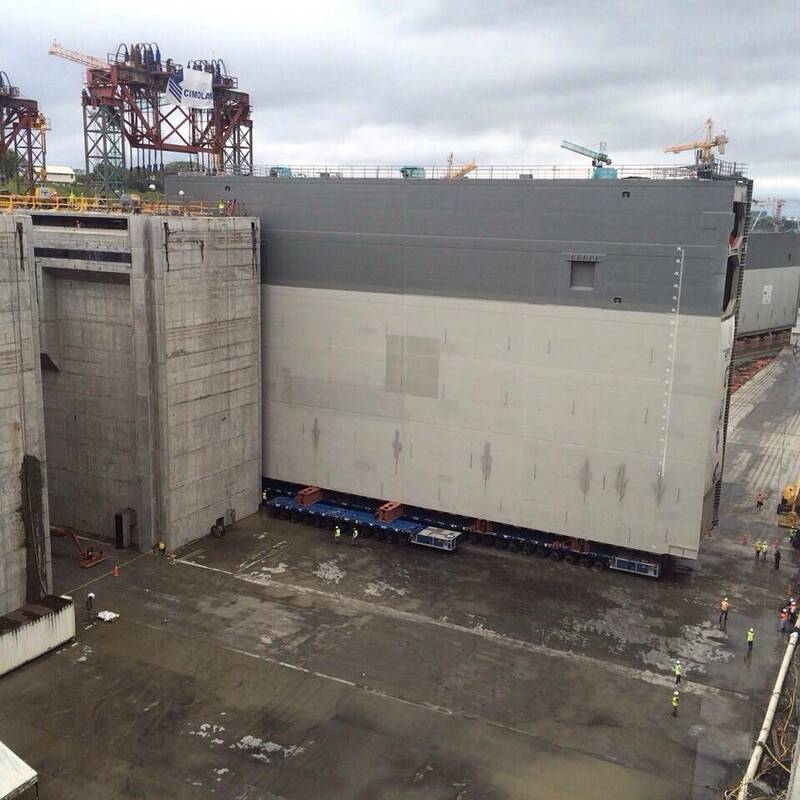 In total, the new locks will have 16 rolling gates, eight in the Pacific and eight in the Atlantic. 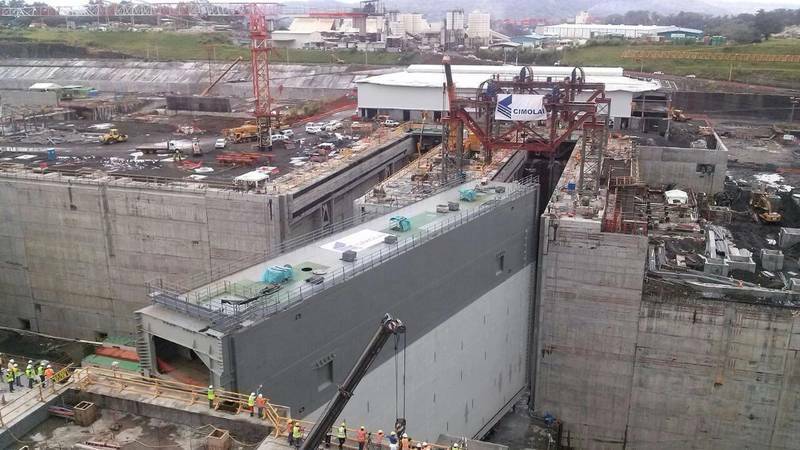 Overall, the Panama Canal Expansion Program is 84 percent complete, the ACP said.